Leaving behind the need for wires and brackets, Invisalign® straightens teeth by using a series of customized appliances termed aligners. The aligners are clear, nearly indesctructible, and are fully removable throughout the course of treatment. Almost undetectable to passersby, you’ll find that virtually nobody notices you’re straightening your teeth. The first step toward treating with Invisalign® is to schedule a complimentary evaluation at our office. We will take a close look at your unique situation and help determine the best way to address your preferences and concerns. For the best results, it’s important that you work with an orthodontist who has been specially trained and certified by Align Technology, the parent company of Invisalign. These devices are not designed for young children, and won’t work for adults in every situation. Teenagers are often fond of the Invisalign option, as braces can sometimes bring about self-consciousness issues. Learn more about Invisalign by scheduling a meeting with Dr. Cheron today! Invisalign®’s approach to smile correction treatment is unique, non-invasive, and effective. It combines years of orthodontic practice and development with 3D computer technology that has been developed in more recent years. 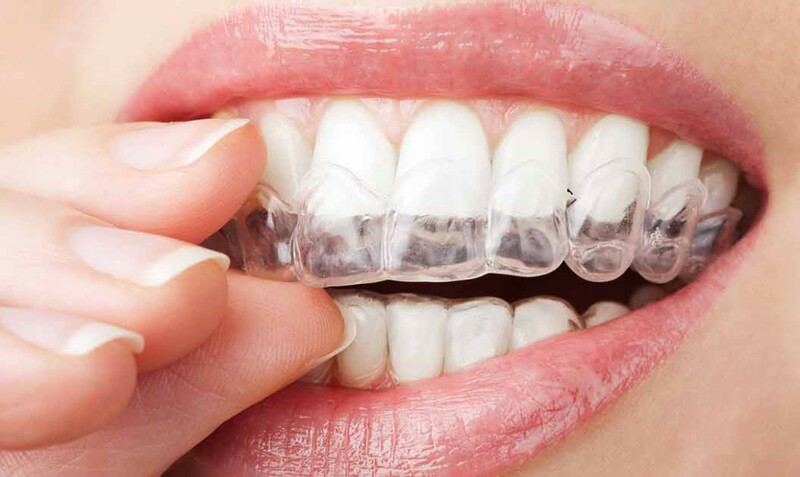 Invisalign® was invented in the mid 1990s and has been gaining steam ever since. The idea behind the system is to use aligners to move teeth in small increments to the final position prescribed by your orthodontist. Each aligner in the process is expertly calibrated and designed to fit your mouth perfectly at each stage of treatment. The orthodontist must input precise treatment instructions into the Invisalign® software, which will translate the instructions into a series of perfectly calibrated aligners – anywhere from 12 to 48 sets. Typically the aligners are worn for about two weeks, and should only be removed when the patient is eating, brushing, or flossing. The teeth will begin to gradually move, and as you replace each set of aligners with the next, the teeth will be pushed to their desired potion. Before you know it you’ll be smiling that perfect smile! Of course before treatment can begin you’ll have to visit our office to ensure the system will work for your particular case. Some patients are concerned with their online research about Invisalign®. They are confused because they see many reviews from patients swearing by Invisalign®, talking about how much they loved the product and how perfectly it worked. However, they also come across a few reviews stating the treatment simply didn’t work for them. It’s likely that this happens because Invisalign® simply isn’t the best solution for every single patient. Still, some dentists may prescribe it for conditions that they are not trained to correct. At Cheron Orthodontics, we carefully evaluate our patients and make sure they are suitable candidates. Dr. Cheron’s training and experience provides her with the skills to accurately asses your unique situation. We’ve used Invisalign® to successfully treat many of our patients, and they often get the results they deserve and desire in a year or less!